Of course, you know Seattle Japanese Garden at Washington Park Arboretum is one of the most beautiful places in Seattle. And one of the best to host an event! 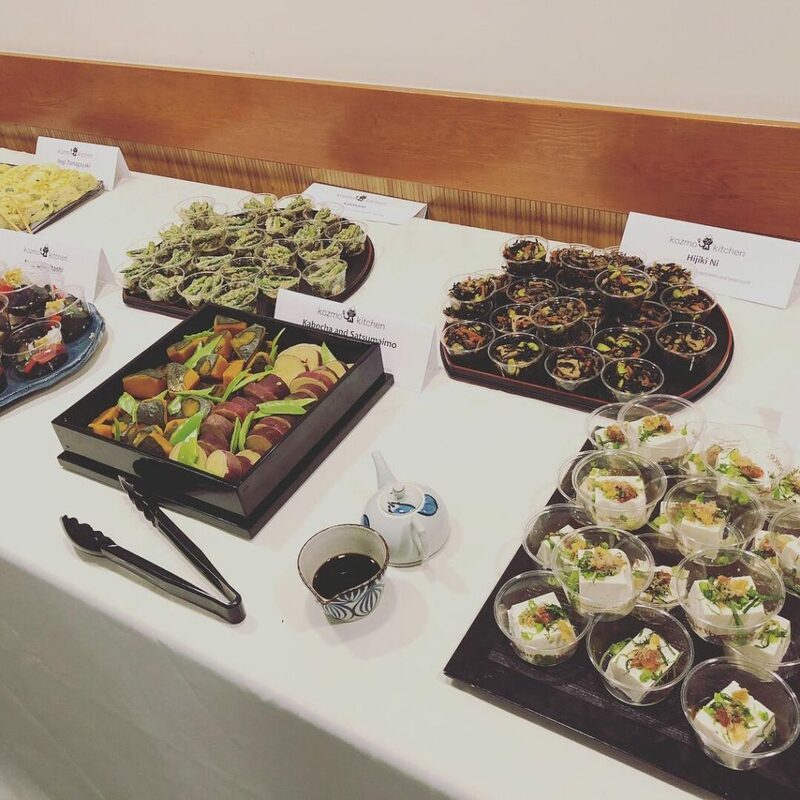 So, we were humbled and pleased that they would ask Kozmo Kitchen to provide catering for their own private event this past Sunday morning, a breakfast buffet for 30 guests. 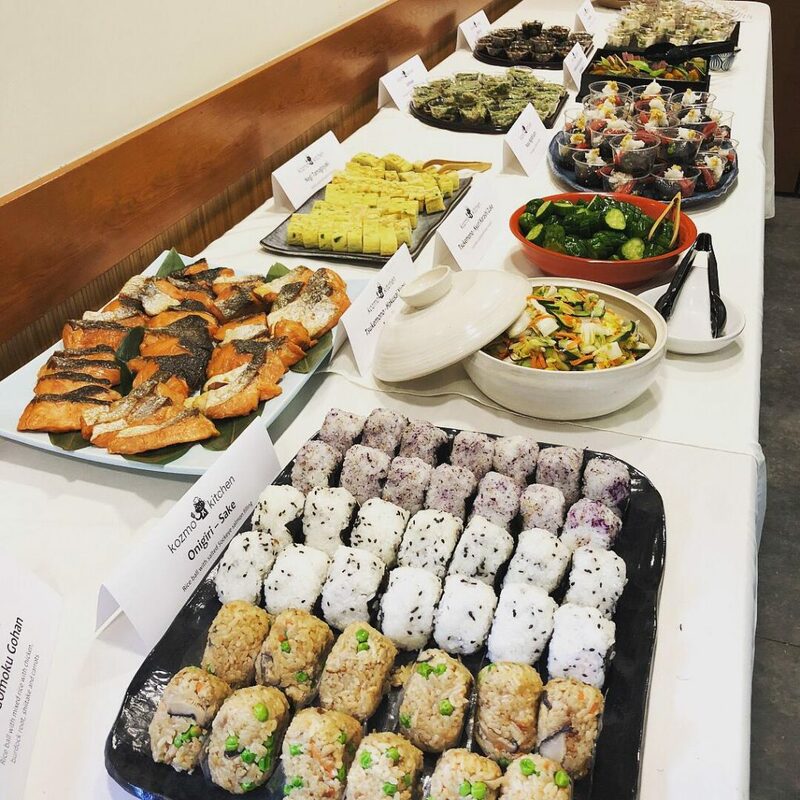 What a great way for us to cater a traditional Japanese breakfast for the first time. We prepared a 13-course meal for an outdoor buffet, including Salmon, Tamago, three kinds of Onigiri and yummy miso soup with fresh corn and okra. 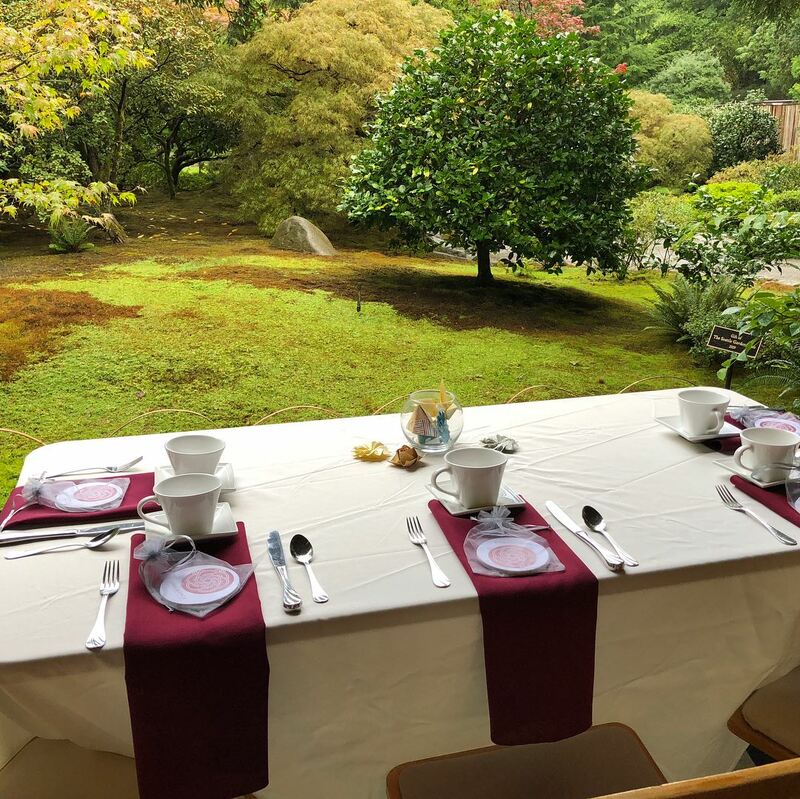 We ended up serving indoors due to bad weather, but the Tateuchi Room offers a perfect setting for a warm, wonderful gathering. Special thank you to Akiko’s Pottery for letting us use your beautiful pottery!